Please note: Bicycle Network, or an equivalent interstate body is the only body that provides some relevant insurance cover for the Chain Reaction event. Cycling Australia and Triathlon Australia membership insurance is limited to those bodies’ sanctioned events only. Chain Reaction is not an event sanctioned by either body. As a rider in Chain Reaction, you are provided with Chain Reaction branded training kit (jersey, vest, knicks and socks) as well as a Team jersey and vest for the event. Please provide accurate measurements and sizes below. 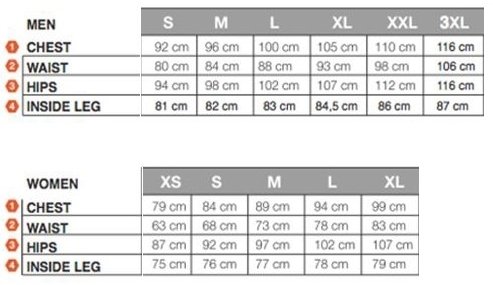 Please note: The fit is a "European race cut" sizing and therefore we recommend referring to the sizing chart below. please indicate below which items you DO NOT require. A group of senior executives who recognise their responsibility to the greater community and believe that individuals working together make a real difference in the lives of sick children and the charities that support them. A desire to incorporate individual passion for cycling into an annual charity challenge. Participate in the spirit of camaraderie, teamwork and fun. Leverage executive standing in the business community to help meet the fundraising objectives. Contribute where possible to the corporate sponsorship objectives. Promote and use the Chain Reaction brand responsibly and with the approval of the Organising Committee. 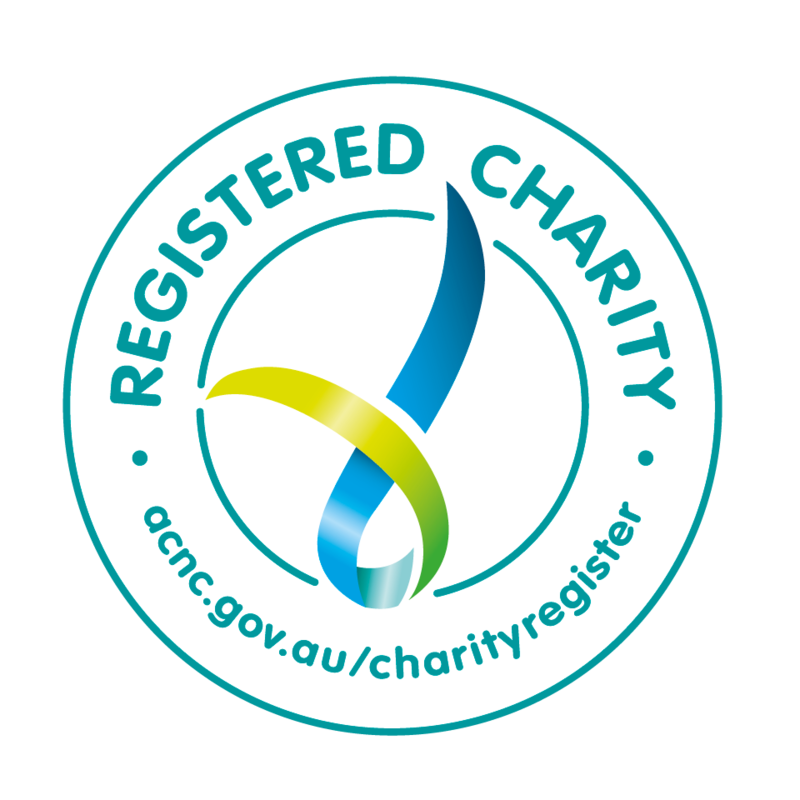 Behave in an exemplary manner while representing Chain Reaction and our supported charities. As Ambassadors for these bodies, any form of discrimination, harassment, bullying, excessive use of alcohol or any form of drug use will not be tolerated or condoned. That it is not mandatory for each rider to complete the entire distance. Each rider should ride within his/her own ability. Chain Reaction will be completed as a group, not a race. Chain Reaction is and should remain a-political. For insurance purposes, all riders must be financial members of Bicycle Network (or equivalent organisation). All participants must read and agree to the following indemnity agreement. 1. I acknowledge that I participate in the Chain Reaction Event ('the Event’) voluntarily and at my own risk. I understand that participation in the Event or any activity associated with it, including all training activities, involves riding on public roads used by other traffic and I am aware of the hazards in that and in riding bicycles in general. 2. I further acknowledge that participating in the Event may result in a real risk of serious injury or even death from various causes including but not limited to over exertion, dehydration and accidents with other participants, pedestrians, animals or road users and I will take all reasonable measures to protect myself from the risks of participation. 3. I accept responsibility for travel and medical insurance and for payment and/or reimbursement of medical/surgical expenses incurred by me. I consent to receive such medical treatment that may be deemed advisable in the event of my injury, accident and/or illness during training and the Event. 4. In my judgment I have sufficient fitness, competence and experience to participate safely in such riding and to the best of my knowledge I am not suffering from a condition that would prevent and/or render me unfit to participate in the Event. I will immediately notify the Event Organiser in writing of any change to my fitness and ability to participate. I understand and accept that the Event Organiser will continue to rely upon this declaration as evidence of my fitness and ability to participate. 5. I am responsible for all property I bring with me on the Event and understand that the Event Organiser does not accept responsibility for any loss or damage to this property. 6. I undertake to be a financial member of Bicycle Network (or similar organisation) at all times during the training program and the Event. 7. I agree to comply with all the commitments made by me in the Rider Sign-on Form and the rules and directions of Event officials and their servants and/or agents. In particular, I undertake to comply with any direction given or sanction imposed by an Event official or the Event Committee including to withdraw from the Event or from any part of it. 8. I grant the Event Organisers, Chain Reaction Challenge Foundation, its sponsors and its charity partners involved in the Event a royalty free right for use in perpetuity, to use and allow the use of my name, image and likeness in broadcasts, webcast, media press materials, promotional materials and otherwise in connection with the Event. 9. In consideration of and as a condition of acceptance of my participation into this Event I hereby agree to release Chain Reaction Challenge Foundation, Event Organising Committee, Event Organiser, Event Manager, Training Coach, Event Sponsors and each of their agents, affiliates, employees, members, volunteers and any person or body directly or indirectly associated with the Event and waive any right or entitlement I have or, but for my execution hereof, have, or which may accrue, in respect of all and any claims, demands or proceedings arising out of or in connection with my participation in the Event including (without limitation) where such claims, demands or proceedings are caused by their negligence, but excepting wilful negligence, and I indemnify them and will keep them indemnified against all liability for all injury, loss or damage arising out of or in connection with my participation in the Event. This release and indemnity continues forever and binds my heirs, successors, executors, administrators, personal representatives and assigns. As part of your committment to Chain Reaction and its charity partners, we ask that riders make an upfront donation of $3,000 upon selection to the event. We will require riders to submit their credit card details upon selection into the event and will charge the upfront donation at this time. We also feel that it is important that our riders understand and agree to the fundraising requirements of this event before completing their submission. Every rider must raise a minimum of $5,000 in personal donations. Riders are also expected to use their corproate networks to sell sponsorships on the team jerseys. Please note, the corporate sponsorships are not applied to your personal fundraising accounts and are considered "team sponsorships." Please tick the boxes below that you understand and accept the commitment to fundraising if accepted to the 2019 Chain Reaction Challenge.